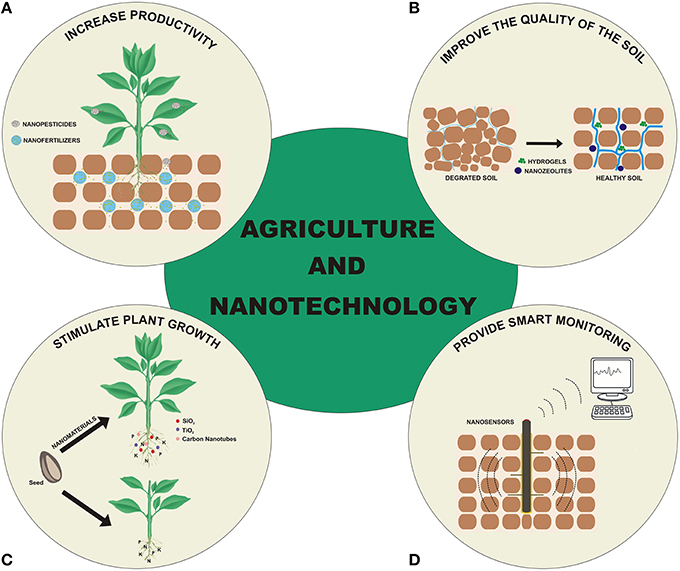 The agronomic application of nanotechnology in the field of plant science is called phtyonanotechnology. This new field has the potential to change the conventional system of plant production. With the help of this new technology knowledge we can do controlled release of pesticides and fertilizers in the field. This will enable the farmers to have the knowledge of how much quantity the fertilizers has to be added.In the biotechnological aspect it will help in target specific release of nucleotides, proteins.A lot of recent studies have been focusing on the use of silver nanoparticles against the bacterial infections. There is a lot to do and explore in this new venture of plant science to make new developments.